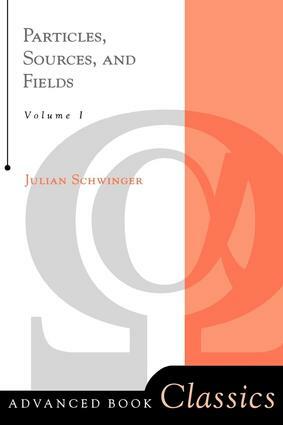 This classic, the first of three volumes, presents techniques that emphasize the unity of high-energy particle physics with electrodynamics, gravitational theory, and many-particle cooperative phenomena. What emerges is a theory intermediate in position between operator field theory and S-matrix theory, which rejects the dogmas of each and gains thereby a calculational ease and intuitiveness that make it a worthy contender to displace the earlier formulations. This long-standing, widely respected series was founded in 1961 in an effort to put forward coherent works that summarize developments in the most active and interesting areas of physics. It continues to serve that need, including textbooks, monographs, lecture notes, and professional manuals that aid in offering synthetic, authoritative accounts of the present state of the art in key subject areas of wide interest to physicists. The caliber of authors published in the series speaks to the high standards of its publication: R. P. Feynman, D. Pines, L. P. Kadanoff, R. Hofstadter, J. Schwinger, and many others. New books in the series are commissioned by invitation. Authors are also welcome to contact the publisher, Lou Chosen, Executive Editor, lou.chosen@taylorandfrancis.com, to discuss new title ideas.